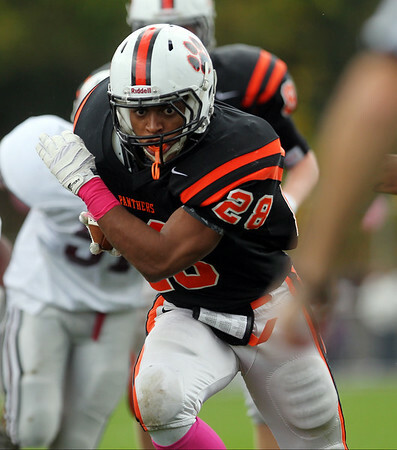 Beverly junior running back Matt Madden (28) keeps his eyes upfield as he breaks into open space against Lynn English. DAVID LE/Staff photo. 10/18/14.